Our favorite ancient cousins, the Neanderthals, are in the news again. Researchers from the Max Planck Institute for Evolutionary Anthropology have sequenced the full genome from the toe bone of a Neanderthal woman who lived in Siberia more than 130,000 years ago. Breathtaking in its quality her genome tells us a little about her, but more importantly it gives us a better understanding of human evolution. By comparing her data with other sequence data, researchers have been able to show that there was intermixing not just between modern humans and Neanderthals, but between Neanderthals, Denisovans (another ancient human), modern humans and perhaps other as yet unknown groups of ancient humans. Using the sequence and comparing it to other Neanderthal, Denisovan and modern human genomes, the researchers – which included scientists from UC Berkeley, MIT, Harvard, the University of Washington and the Chinese Academy of Sciences in Beijing – were able to illustrate how genes flowed between these populations. While there was interbreeding between Neanderthals, Denisovans and modern humans, there is still a distinct genetic difference between them. After the periods of intermixing Denisovan and Neanderthals gradually disappeared, but their DNA remains in most modern humans. The genome sequence – which is of a quality comparable to that of a sequence one could get from a modern human – offered researchers other insights including that ancient woman’s parents were likely related – perhaps half-siblings – and that her ancestors also likely inbred. The findings lend support for a more nuanced story of human evolution. Earlier this year researchers extracted DNA from a 400,000 year-old thigh bone found buried in a Spanish cave, known as Sima de los Huesos, or Pit of Bones. Apart from the big deal of extracting genetic material from a really, really old bone – the oldest human DNA recovered yet – the find surprised researchers. The age of the bone, and its location, lead them to believe they would find Neanderthal DNA. It turned out to be Denisovan. Previous finds placed the Denisovans farther east and only back as far as 80,000 years. Clearly there is still much to learn about how all these pieces fit together with our own evolutionary history. 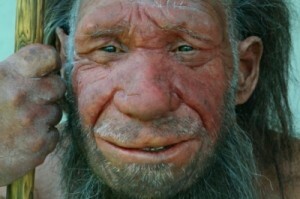 Got Neanderthal DNA? 23andMe customers can find their inner Neanderthal or at least how much Neanderthal DNA they have. Not yet a customer? Visit our store!